we are producing machine processed, wire-cut brick of dimensions 230 x 115 x 75mm. We have imported machinery for extrusion of clay and the bricks are cut using state of the art plc based system. Our bricks have very good dimensional accuracy and strength. Size (Inches): 9In. x 4.25In. x 2.75In. Wire Cut Bricks, Size: 9 In. X 4 In. X 3 In. We have carved a niche amongst the most trusted names in this business, engaged in offering a comprehensive range of Wire Cut Brick. Wirecut bricks is used for the exposed maisonary. Which means the walls which is made by wirecut bricks need not to be plastered. This will give a natural as well as a rugged look. Banking on the skills of our qualified team of professionals, we are involved in offering supreme quality array of Wire Cut Brick to our esteemed customers. 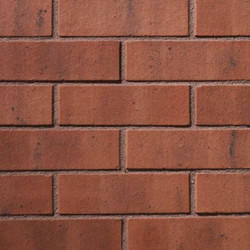 This Wire Cut Brick is widely demanded amongst clients for flawless finish and cost effective price. Offered range is manufactured using quality approved raw material and modern technology.